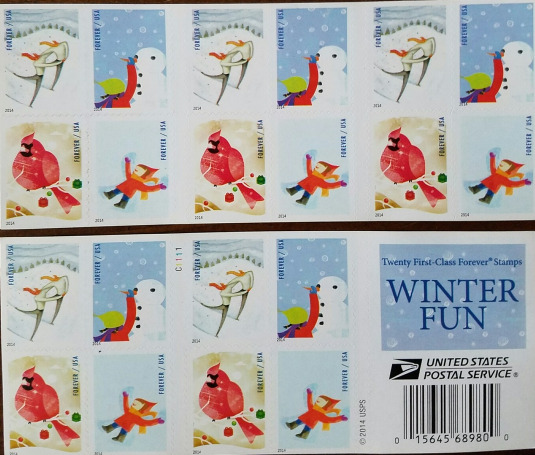 This is a mint 2015 USPS stamp sheet of 20 self adhesive FOREVER stamps featuring Christmas - Winter Fun. Joyful. Measures 5-3/4 x 2-3/8" . Mint condition. Shipping is 3.00 within the USA. International shipping rates apply. Please enjoy browsing the store for lots more STAMP COLLECTIONS often. Thanks for stopping by!